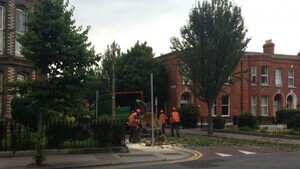 Emorville Avenue, Dublin this morning. 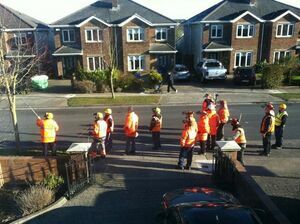 ‘Saving’ The Streets Meanwhile, On The North Wall Quay Meanwhile, In ‘Portabello’ How Many Fellers? 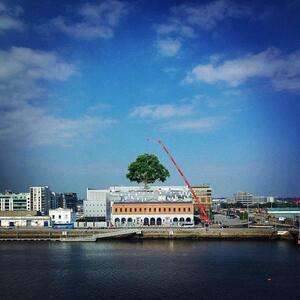 Posted in Misc and tagged Portobello, tree at 11:39 am on July 24, 2014 by Broadsheet. You lads are struggling today. It’s hot and yer ma is slippy. Genius. That should be the headline.